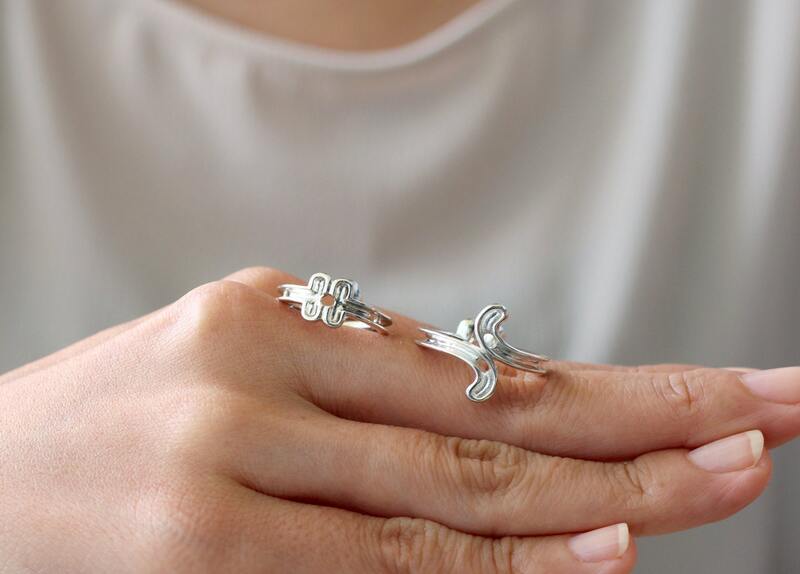 Each piece can be worn as a ring or a necklace. It is inspired by knot that connect us to each other. 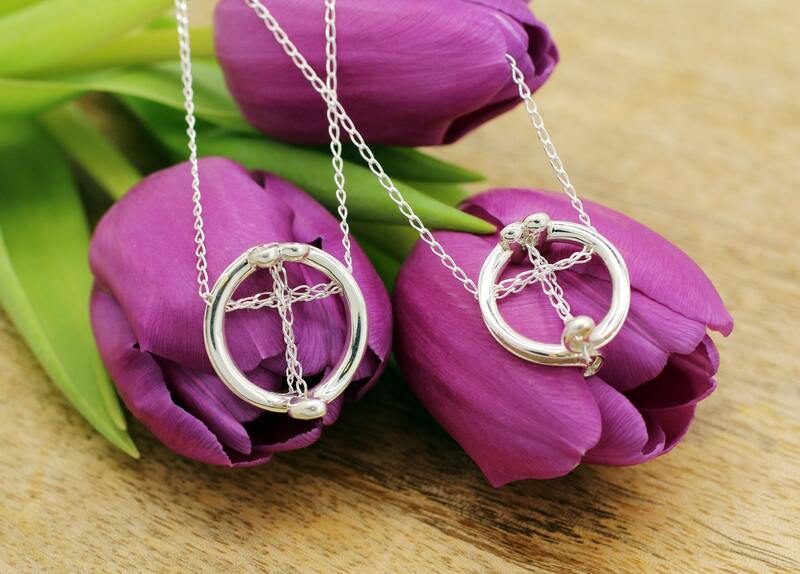 A silver chain is interwoven to form a cross symbol inside a ring. 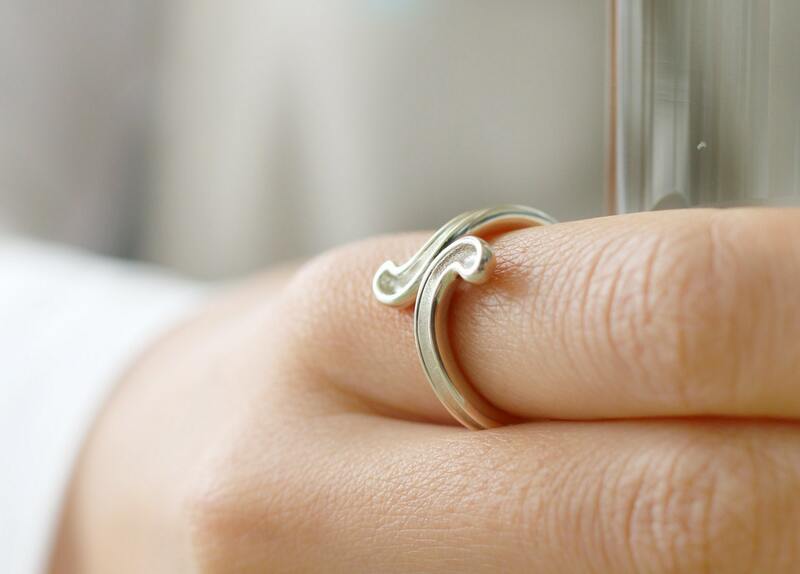 You can also remove the chain to wear it on your finger. Each piece is unique and made to order. It is custom made in your size. A design image would be provided for confirmation. 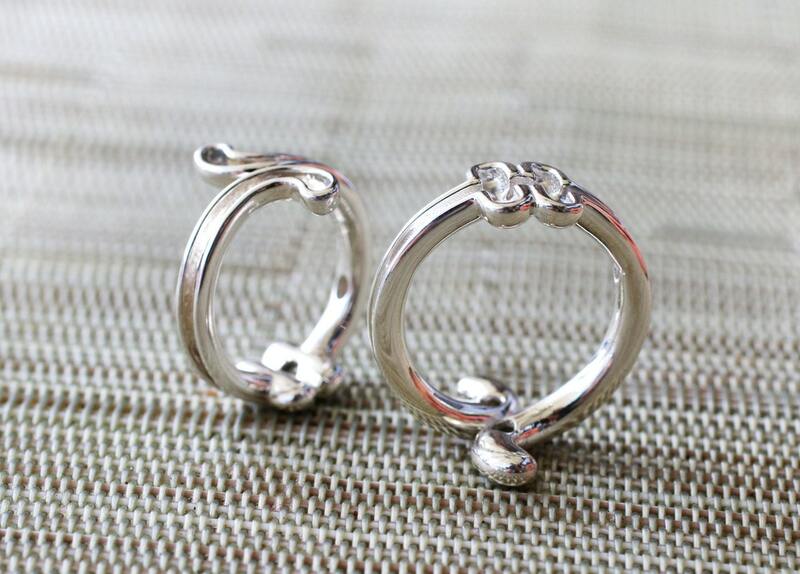 It can also be printed in 14k white gold, 14k yellow gold or 14k rose gold. Please contact me for prices in these materials.